Amber Alerts have been issued in Tennessee and Alabama for a 15-year-old girl believed to be with a former teacher who police say is armed and dangerous. Elizabeth Thomas was last seen around 8:00 a.m. Monday at a Shoney's restaurant in Columbia, Tenn., after being dropped off by a friend, according to the Tennessee Bureau of Investigation. Her parents reported her missing later in the day. 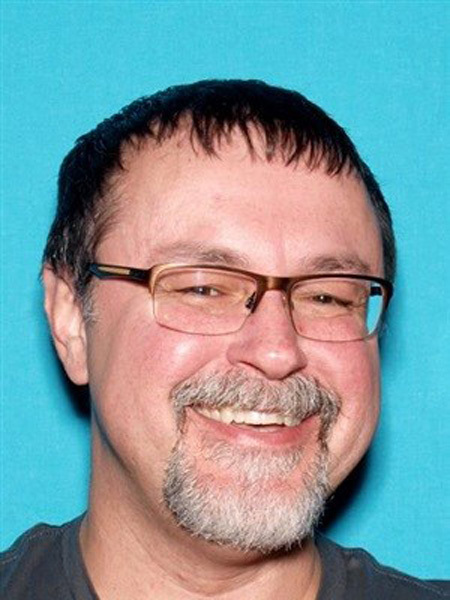 Investigators believe Thomas is in the custody of 50-year-old Tad Cummins. On Wednesday morning, District Attorney General Brent Coopers confirmed that Cummins is charged in connection with an alleged sexual interaction with Thomas at the school where he taught and she was a student. The school district suspended Cummins when the allegations surfaced and terminated his employment Tuesday, police said. Authorities said Thursday that their investigation has revealed a "troubling pattern of behavior" by Cummins, suggesting that he may have been abusing his role as a teacher to "groom this vulnerable young girl for some time in an effort to lure and potentially sexually exploit her." APPROXIMATELY 7:30-7:45 AM CST: A friend of Elizabeth Thomas dropped Thomas off at the Shoney's in Columbia, Tennessee. 8:32 AM CST: Surveillance video appears to show Tad Cummins at the nearby Shell station, fueling his Nissan Rogue. 12:41 PM CST: The Maury County Sheriff's Department entered the child as 'missing' in NCIC, the nation's law enforcement internal communications database. 3:06 PM CST: Information places Thomas in the area of Decatur, Alabama. 3:49 PM CST: The Maury County Sheriff's Department officially requested an alert. 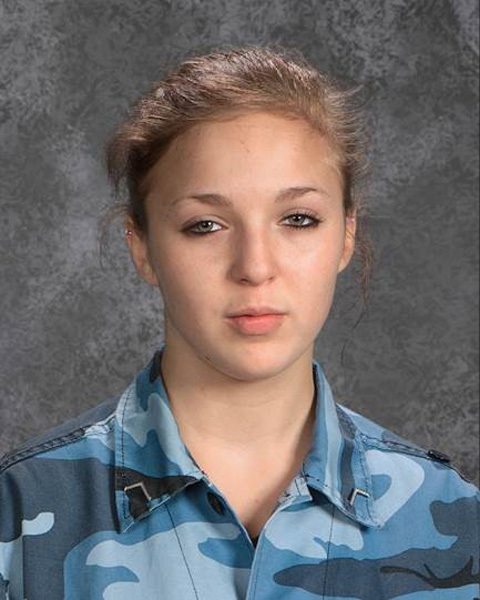 4:18 PM CST: TBI issued an Endangered Child Alert. 4:49 PM CST: The Maury County Sheriff's Department secures the warrant for Cummins, charging him with one count of Sexual Contact with a Minor. 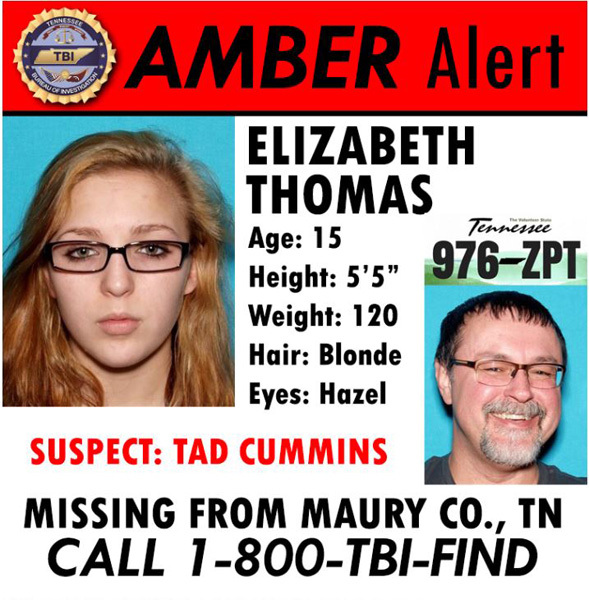 5:53 PM CST: Due to the warrant being placed against Cummins, TBI upgraded its alert to an AMBER Alert. Thomas is described by police as being 5'5", 120 pounds with blonde hair and hazel eyes. 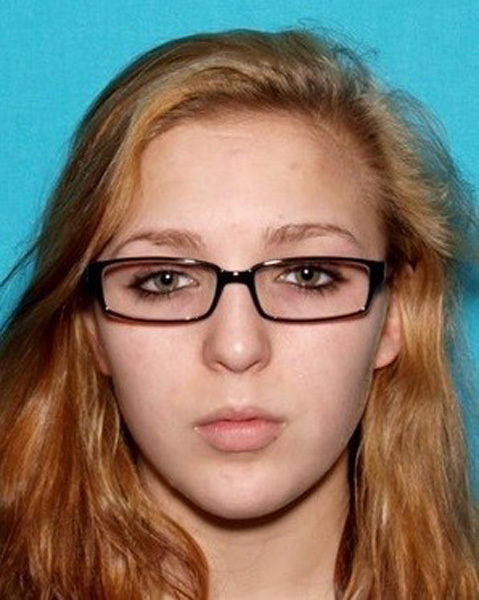 She was last seen wearing a flannel shirt and black leggings. Police said Cummins has brown hair, brown eyes, is 6 feet tall and weighs approximately 200 pounds. Cummins is believed to be armed with two handguns and driving a silver Nissan Rogue with Tennessee tag 976-ZPT, police said. Investigators said they were able to place Thomas in Decatur, Ala., at around 3:00 p.m. Monday afternoon. Neither Thomas nor Cummins have any connection to the area, police said. Police said they were able to determine that Cummins secured a title loan for a personal vehicles several days before his disappearance, netting $4,500 in cash. Authorities are hoping to speak with anyone who may have had an interaction with either Cummins or Thomas prior to their disappearance. If you have information on Thomas or Cummins, call the Tennessee Bureau of Investigations at 1-800-TBI-FIND. 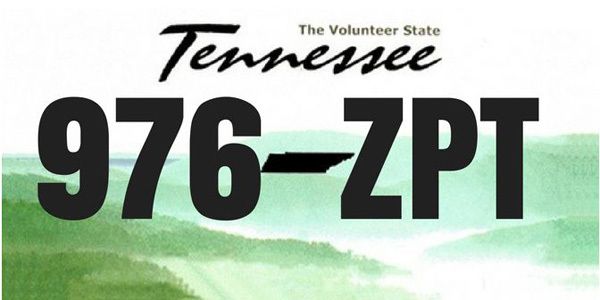 If you spot the vehicle and can verify the license plate to be TN 976-ZPT, call 911.